It's been a while now since South Africans have said goodbye to the MSC Opera in March 2015; however we can still take booking for her overseas voyages. And, for those who want to book MSC Cruises in South Africa, MSC's Cruises have sent the MSC Musica until April 2019; and the MSC Orchestra for the 2019/2020 season. If you're up for an international cruise with here, we're offering up to 40% early booking discounts on MSC Opera cruise bookings. The Opera was the only ship cruising South Africa's shores in the 2014/2015 season, when the MSC Sinfonia took a year's sabbatical from SA's shores, while she was being lengthened. MSC are the 1st major cruise operator to base a ship in Havana, Cuba - the Opera was there until April 2016. Thereafter, she plied the shores internationally in Europe from April 2016. Email a writeup and photographs of your cruise to cruises@southafrica.to and we'll send you cruise discount vouchers (up to 50c per word & up to R50 per photo published). Fill in the form below as completely as possible to allow our cruise consultants to find the best deal for you (or email cruises@southafrica.to if you're experiencing difficulties) - guaranteed cheapest cruise prices (we have access to the best cruise specials). 13 November 2015. The MSC Opera's first Cuban cruise departs from Havana on the 22nd of December 2015, heading to Jamaica, the Cayman Islands and Mexico. MSC is the first major cruise line to offer cruises from Cuba and it has been met with such enthusiasm that it is likely that further cruises from Cuba will be available during 2016 and 2017 – we’ll keep you updated, keep an eye on our news section! 2 May to 4 July 2015. The MSC Opera cruise ship enters dry dock to be stretched from being 251m long to 275m long. The ship will have 193 cabins added, as well as shopping boutiques & a "spray park" with water features and cannons. The additions will be done by Fincantieri in Italy. After the operation she'll be able to carry 2680 passengers (currently 2069). Whilst at dry dock lego-themed playrooms are to be added. 7 January 2014. The MSC Sinfonia and Opera had a rare meeting in the seas off Portuguese Island (Mozambique), with much waving from passengers & honking of horns taking place. 8 to 12 December 2014. The Jack Parow December Party Cruise from Durban to Portuguese Island and Inhaca. 11 November 2013. The MSC Opera arrives in Cape Town, and hosts travel agents and industry players at the Ukuthema function, with items being auctioned off for charity. 24 September 2013. A 33 year old Indian bartender, Mr Fernandes Elroy, is believed to have jumped off the MSC Opera cruise ship at 01h30 as it headed for Southampton, and was found to be missing (Video footage showed him climbing over the guard rails). A Mayday call was relayed from the ship and the coastguard called to help search. Mr Elroy had worked with MSC Cruises since 2007. On the 9th October 2013 a body was found in the English Channel, which was believed to be his. 18 September 2013. The MSC Opera stops at the port of Vigo, Spain. Jul 2013. The MSC Opera starts serving the port of Le Havre. The MD of MSC Cruises, Erminio Eschena, says that “Our presence at Le Havre reflects our development strategy launched for several years which focuses mainly on the French territory. In this sense, the Port of Le Havre is a tremendous asset for MSC Cruises” because it opens the way to Northern Europe as well as to Mediterranean cruises. For these reasons our arrival at Le Havre marks the beginning of our partnership with the Le Havre conurbation which we wish sustainable and successful. In addition, our relationship with the port of Le Havre has been long established thanks to our cargo traffic”. 14 Feb 2013. Our first 2014 reservation on the Opera is a 4-berth cabin on the 27 January 2014 cruise from Durban to Portuguese Island and Inhambane. 1 Feb 2013. Kyknet cruise from Durban to the Portuguese Island (Mozambique). 27 Nov 2012. The MSC Opera visits Maputo, Mozambique, for the first time. 20 Nov 2012. The MSC Opera cruises into Cape Town for the first time, at 08h30, docking at E-berth with 1284 passengers. "This year considerable improvements have been made at E-berth. The rubble has been removed, the area is very spacious and Home Affairs officials were on-site this morning to assist with customs processes. All in all, the experience was a very positive one. We look forward to making use of the passenger terminal currently under construction at E-berth, which we understand should be ready in February." said Mr Rob McEwan, MSC Operations Manager in Cape Town. Mr Alan Winde, the MEC of Finance, Economic Development and Tourism in the Western Cape Province, said: "I would like to extend a warm Western Cape welcome to the MSC Opera. We wish its passengers a very good stay, and hope that they take this once-in-a-lifetime opportunity to explore all the wonderful attractions our Province. We look forward to welcoming other cruise liners to the Western Cape during the summer season. In 2011, 19 visiting cruise liners brought approximately 11 144 passengers and 6 342 crew members to the Western Cape, sustaining a significant number of jobs in our flourishing tourism industry (and here's some info on getting one of those cruise-related jobs). While we have not yet been able to return to docking at the Waterfront, the facilities within the port have been significantly improved." 19 Nov 2012. The MSC Opera cruises into South African waters, approaching Port Nolloth. 2 Oct 2012. Derrick "Duracell" van Wyk, from Humansdorp, will be cruise director on the MSC Opera during her South African 2012/2013 season. "After my first two years of studying I had to complete a mandatory six month working internship, I was a bit concerned as I didn't really know what to do or expect from these six months. After having several conversations with my dad, we contacted Starlight Cruises, and were put in touch with Mr. Stephen Cloete. After chatting with Stephen, I flew to Johannesburg for an interview at the Sandton offices ofStarlight Cruises. There I met Stephen and another 20 or so hopefuls, all hoping to join a ship for the upcoming season. After my interview with Stephen, I returned to Port Elizabeth and continued my studies when, about six weeks later, Stephen rang me to confirm my embarkation on the MSC MELODY as part of the ‘animation team’ for the 2006/2007 season. I remember that day as if it was yesterday! I was having a braai after class with a few friends that lived in the same housing complex. I was ecstatic and phoned my dad immediately to share the great news! In the event, I embarked on MELODY a little later than the others because I still had to complete some exams." said Derrick. Here's Derrick getting airborne during a Melody sail-away party. 7 Aug 2012. The Opera arrives in A Coruna (Corunna), Spain, and docks in the harbour with the sun setting on it. 4 May 2012. The MSC Opera is the first ship to dock at the Netherlands new IJMuiden Port, which opened on the 4th May. Here's a video of the MSC Opera leaving Ijmondhaven, Netherlands. It's announced that the MSC Opera will cruise South Africa's shores from the 20th November 2012. MSC Starlight's head of Marketing, Allan Foggitt, said that "The decision to send both MSC Opera and MSC Sinfonia to South Africa for the upcoming 2012/2013 season shows the level of commitment MSC Cruises has to the South African market. We will continue to invest in the destinations, and the development of port infrastructure to continuously improve the product and the guests’ overall experience." 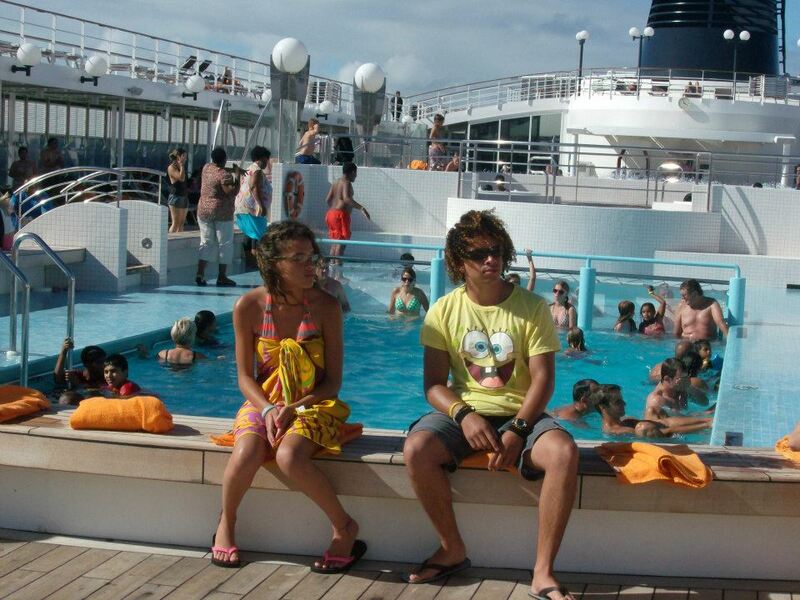 As the MSC Opera left Argentine waters, a passenger suffered a medical emergency, requiring urgent hospital treatment. Luckily a Uruguayan helicopter was on hand to carry out an emergency evacuation, taking the passenger to a Montevideo Hospital. A video (with Dutch audio) of the MSC Opera cruise from Amsterdam to La Rochelle, Bilbao, La Coruna, Southampton & Cherbourg. On the Opera's cruise from Southampton, an international chocolatier, Gerry Wilton, the founder of the Chocolate Boutique Hotel in Bournemouth, hosts a series of hour-long chocolate classes. The Opera has a small collission with the dock in Buenos Aires. Nobody was injured. The Opera suffers engine failure in the Baltic Sea, & is towed to the Port of Nynshamn in the south of Stockholm. The Opera lives up to her name, with high drama when while docked in Dover, some 35kg of cocaine is discovered concealed in 4 passenger cabins on the MSC Opera. The ships was on its way from Brazil to Amsterdam. Four Latvians & 3 Lithuanians were later convicted. 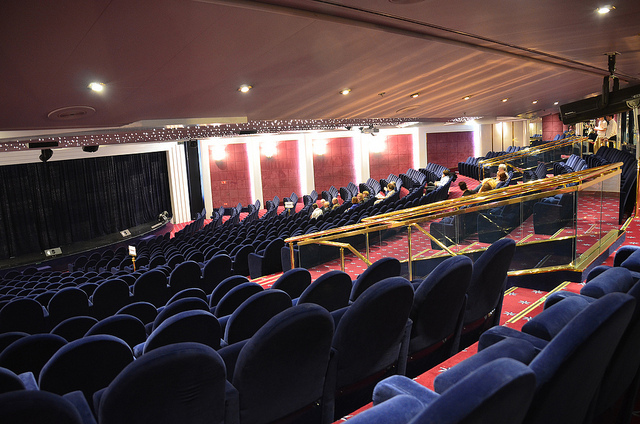 The Opera served as MSC Cruises' flagship until 2006, when the MSC Musica entered service. The MSC Opera is built by MSC Cruises. Be sure to attend the sailaway party, as it tends to be the biggest joll. Tropical party in the evening on a cruise from Durban to Maputo & Barra Lodge. 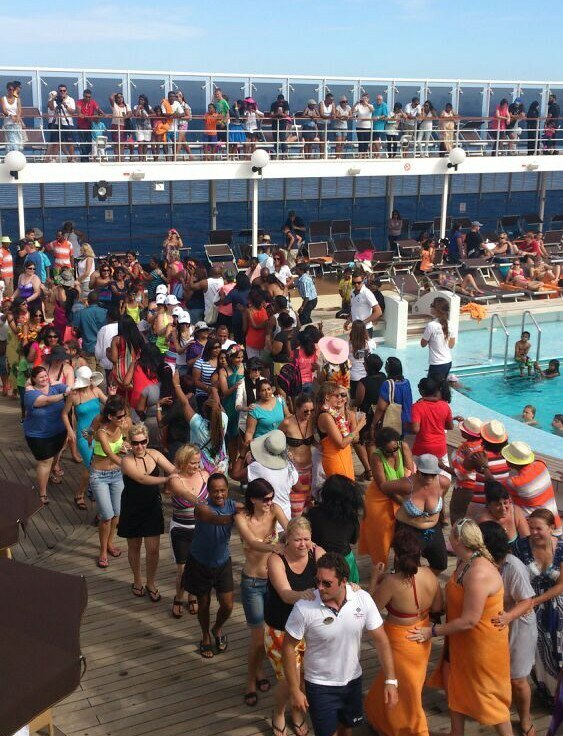 Here's the dance steps you need to practise for your cruise. 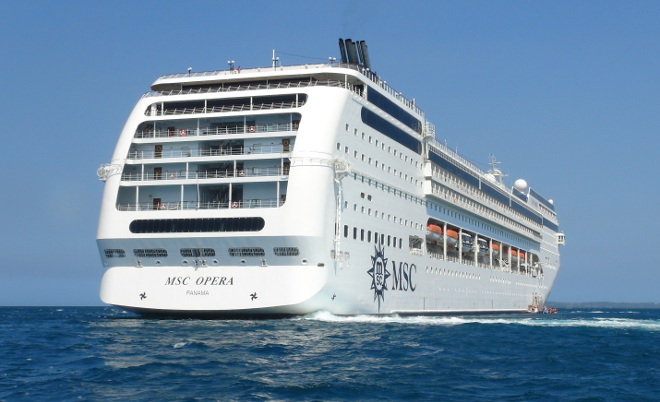 The MSC Sinfonia & MSC Opera operating in tandem off South Africa's shores during the 2012/2013 cruise season means an extra 135,000 passengers. This will break the previous record for passengers cruising off our shores in a season. 2013-08-05 : Rating 5/5. 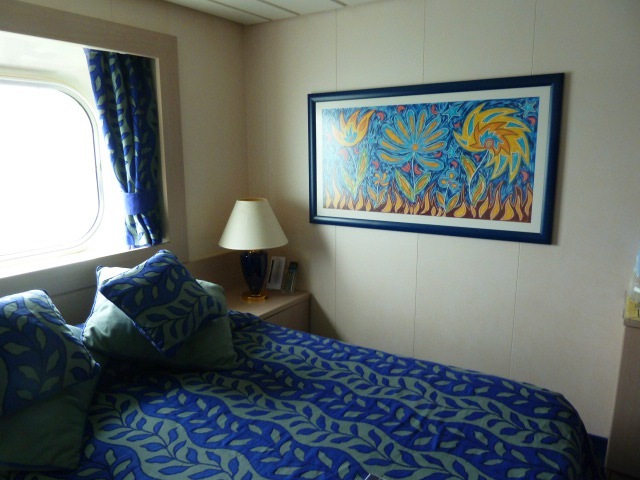 Through the years had often heard from excited friend of the MSC cruises on the S.A. coastline. So we decided to go too. 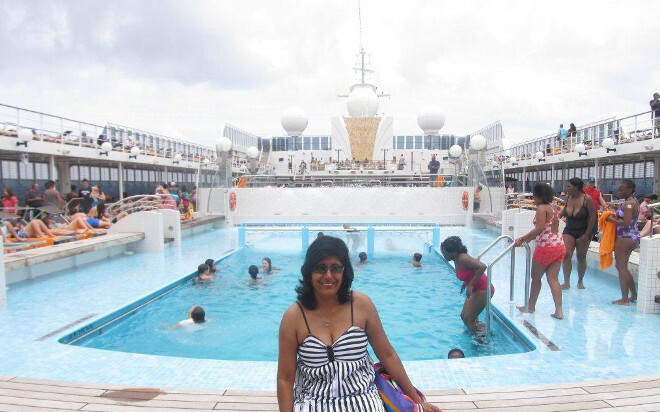 We went in Feb on the MSC Opera Durban to Cape Town via P.E. cruise. Great was our surprise when we saw the MSC Opera lying in the Durban harbour. With its friendly staff who we met when we boarded the ship we felt so welcome. As the Opera glided out of the harbour we got the feeling that we were on our way on a great adventure. Needless to say everything was more than we expected. The service, the food, the entertainment and our cabin were to die for. When we saw Table Mountain from the sea it was a view that we will never forget. Our next cruise will be overseas with MSC. Thank you MSC for a delightful few days. 2013-08-02 : Rating 5/5 . As always my daughter Simone Franks and myself Desiree Jean-Pierre had a lovely time on the MSC cruises. 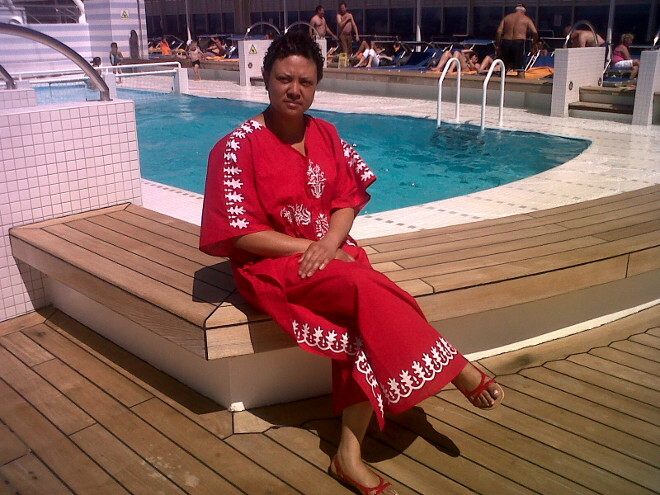 We went on the Cruise to no-where on the MSC Opera from the 15th to the 17th February. 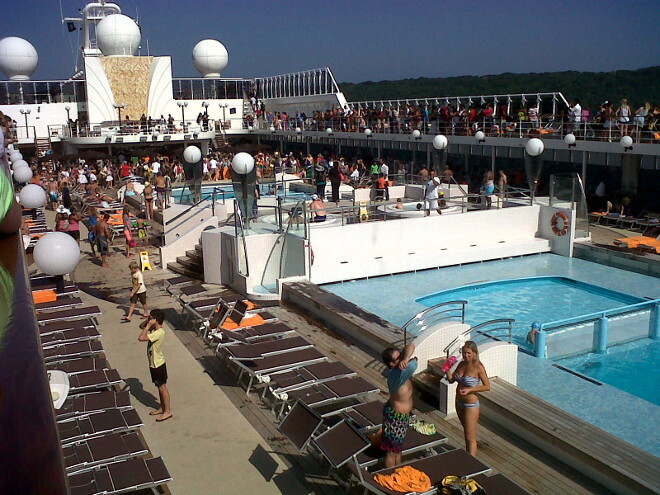 We had been on the MSC SINFONIA before, which was our first cruise to no-where. What I love most is that one forgets about everything back on land, and lives for that moment out at sea. There is a variety of meals lots to do, and loads of entertainment. 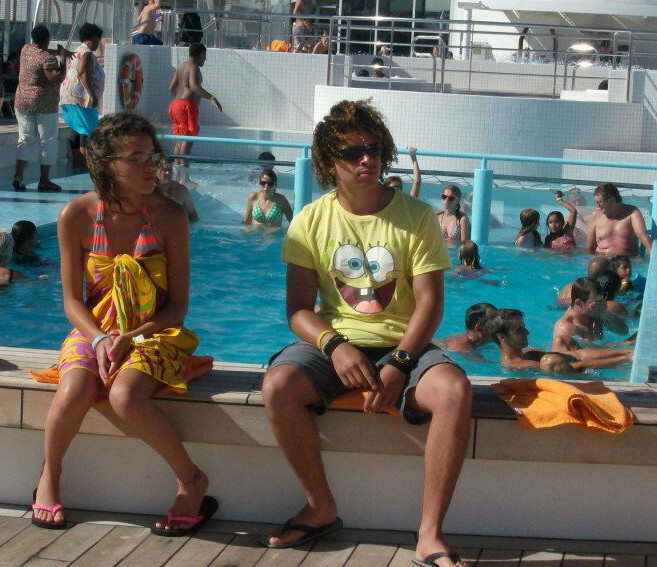 The most hilarious thing happened to Simone and I on the first cruise. On our way back to our cabin from the welcome party, we couldn't find our cabin. We went back and forth only to find our number was just not there. We ended up asking the steward he told us it is the other side of the ship. We all had a good laugh and didn't get lost again after that. Our last cruise, was a group of 5 of us. My partner is crippled, we were a bit concerned about him getting around, but MSC agents and staff came to the rescue. 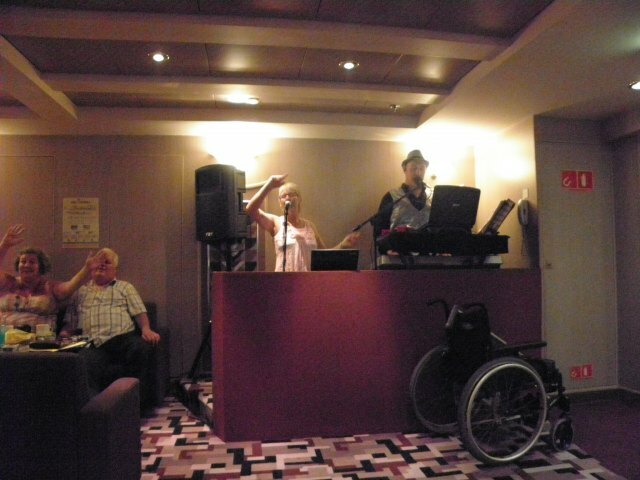 They arranged a wheelchair for him, on and off the ship, which was a great help. The only problem we had was our supper the first night, we enjoyed the show in the theatre so much we missed our meals BUT that didn't stop us, we have already booked for March 7, 2014. 2013-07-18 : Rating 5/5 . Verushka tried out the Mystery Cabin Special on an MSC Opera cruise from Durban to Mozambique, where she enjoyed sipping from coconuts, buying trinkets from the locals, getting sunburnt, dancing the nights away, and the energy of cruise director Derrick - "such a hottie". 2013-05-17. Samantha and friends have a whale of a time on the MSC Opera cruise from Durban...the guys even getting to play cards with the captain below deck. 2013-05-7. Anthea takes her children on a cruise on the Opera. "Never in their wildest dreams did they expect to see such splendour...I have grown addicted to cruising and already looking at what my next route would be." 2012-12-21. Anchors Aweigh reviews the MSC Opera: "Having travelled on MSC Opera from Cape Town to Durban, courtesy of MSC Cruises, one can report that she is comfortable even in quite heavy seas encountered off our coast. On leaving Cape Town four metre swells were running but MSC Opera took them in her stride and paper bags distributed around the ship were an unnecessary precaution." 2012-07. Richard takes advantage of an MSC Opera day visit offer, to take some clickies and explore the ship: "One feature in all cabins that was most prominent was the clever use of large mirrors to give the impression of increased size... The Biblos Discoteca is a very quiet area until late evening and a lovely place to read or relax on inclement days with its long windows... the risottos are superb." (not all comments by Richard). 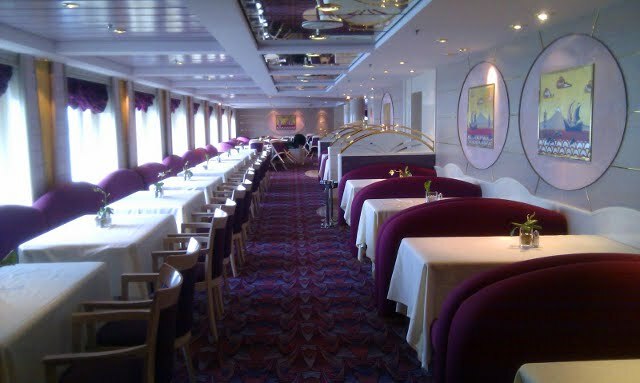 2011-06-21 Hannah describes the MSC Opera as being a "great ship" with "great food". " I am prepared to stick my neck out and say that I was impressed with her." 2011-05-08 Richard cruises on an MSC ship & on the MSC Opera for the first time. 4 Oct 2012. There is so much you can get to see when cruising the Med, as you can stop at a city every day. 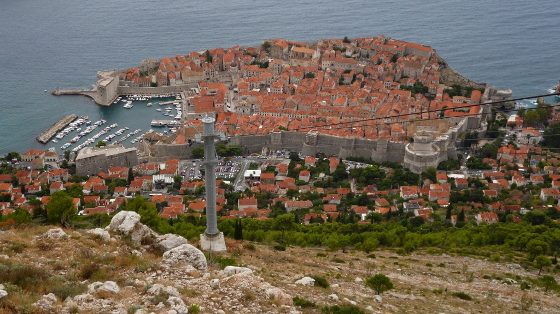 Here's a set of photos from The Baguette's stop on the MSC Opera in Dubrovnik: "Another beautiful day at sea before arrival in the fortified city of Dubrovnik, Croatia"
Fourty-Six minutes of photos from an MSC Opera cruise in the Med. 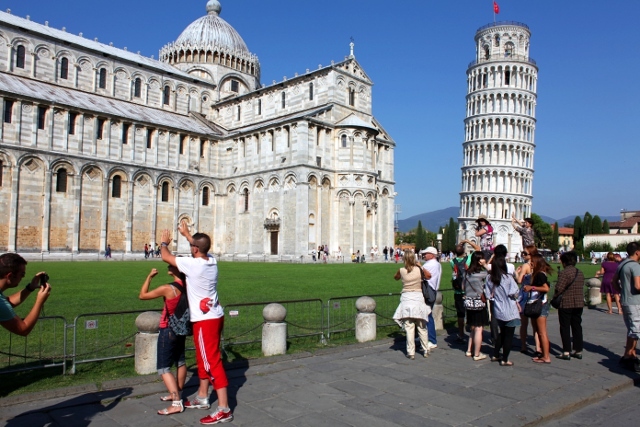 The repositioning cruise to Italy is the ultimate holiday, visiting African ports, European ports & setting you up for a fantastic holiday in Italia. 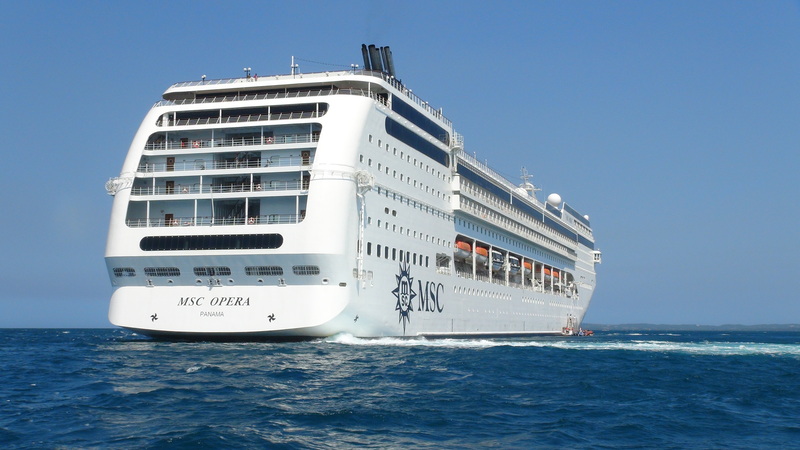 The MSC Opera is a "Lirica class" ship, and can accommodate guests in 856 cabins (compared to the Sinfonia's 777 cabins), of which 172 are balcony cabins & 28 are balcony suites (in addition to some 740 crew members). The Opera is 251m long and weighs 58,600 tons. It has 4 restaurants (1 outdoor dining area), 11 bars (1 outdoor pool bar), 2 pools & 2 whirlpools. Inside the ship are the MSC Aurea Spa & Solarium, a video game room, a disco (deck 12, seating 322 people), an internet cafe, a casino, a medical centre & 0team building facilities. If your kids get bored, take them to Buffalo Bill's play area (3 to 18 years old). They have professional child minders that will keep your kids entertained for hours. The older kids might enjoy the virtual reality games room also offered on the Opera. For the sport enthusiast there is a 200m running track located on the top deck, mini golf and shuffleboard. The lifeboats are used to ferry passengers between the MSC Opera and some destinatinos which don't have suitable docking facilities for the ship. Here's footage of a lifeboat trip from the Opera to Mossel Bay harbour. The bridge camera on the MSC Opera updates every 15 minutes or so. If you have any questions about MSC Opera Cruises, please ask them in the comments section below, and we'll reply as soon as possible. 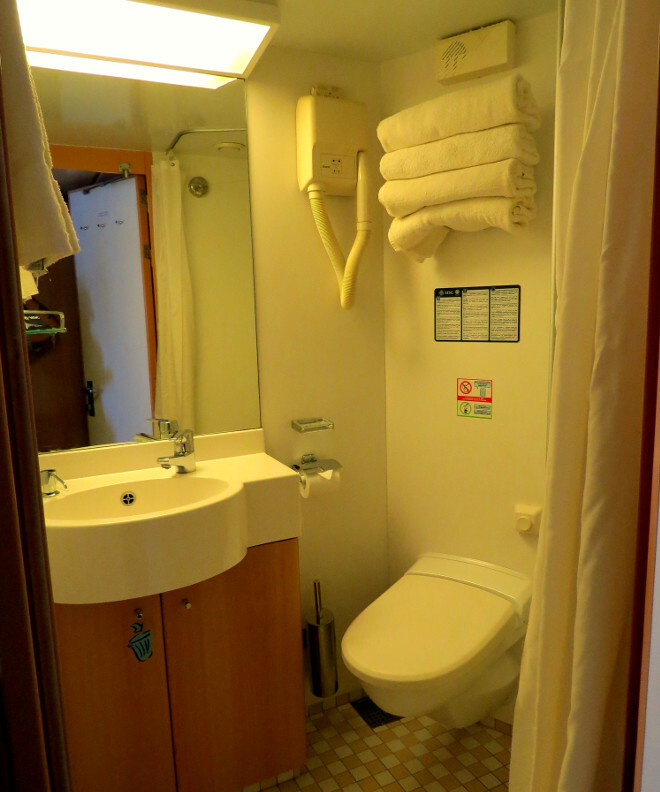 Inside cabins consist of single beds which may be converted into double beds (except in cabins for the disabled), a bathroom with a shower (no baths), a wardrobe, a mini bar & safe & a TV. Size is some 13 square metres. Ocean view cabins are the same as inside cabins, but have a view of the sea (these cabins sell out the fastest) - some obstructed. Balcony cabins are slightly larger, at 15 to 16 square metres, have a balcony, but are otherwise the same as the ocean view cabin (e.g. shower). 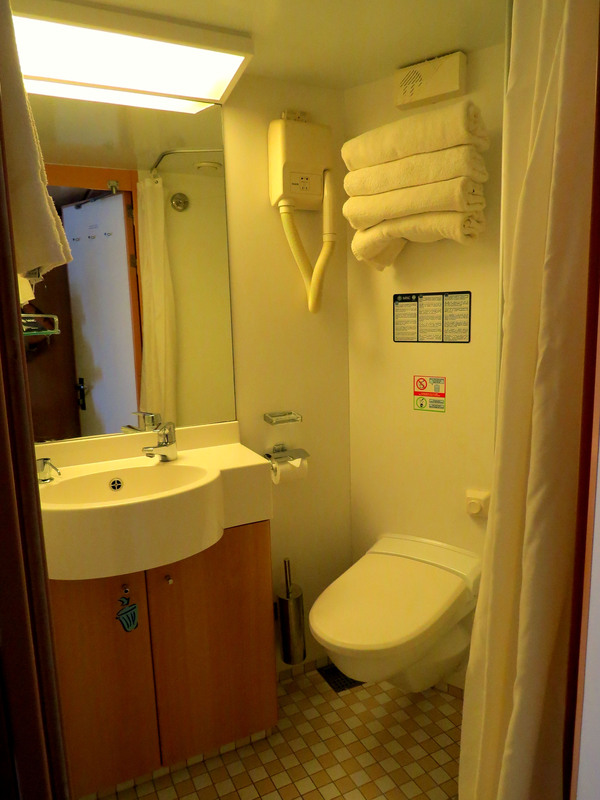 Balcony suites have a double bed which may be converted into 2 single beds & a bathroom with a tub. It is some 27 square metres in size. Cabins for people with disabilities have two fixed single beds, a bathroom with a shower, a wardrobe, a mini bar & safe & a TV. It is some 21 square metres in size. There are 5 inside wheelchair friendly cabins. Sotto Vento Pub is a bar on the 5th deck (also used for videos), where smoking is allowed. I love how Patricia described it in her writeup of her MSC Opera cruise to Stavanger: "It was such a fantastic atmosphere in there, like bars should be, we ended up staying until about 12.40am! I reeked of smoke though so needed to get clean before bed." Aroma Coffee Bar on the 6th deck. Byblos is a bar/disco on the 12th deck. Caruso Lounge is a bar on the 7th deck (also dancing & videos). Cotton Club is a bar on the 6th deck (also used for shows). La Cabala is a piano bar on the 6th deck. Lo Spinnaker is a pool bar, also offering ice-cream, on the 11th deck. Monte Carlo is a casino bar on the 6th deck. Piazza di Spagna is a piano bar on the 5th deck. And sometimes it's the passengers creating the vibe - in June 2012 here's Juliana Pedroso and Marcos Vinicius Bueno dancing on the MSC Opera. If you love dancing then you'll get your heart's content. Visit the disco and party all night. Don't despair if you don't know how to dance - most cruises have dance classes.